FORT HILL, Tortola, VI- A Jamaica national has been charged in relation to a shooting on Fort Hill on June 22, 2017. 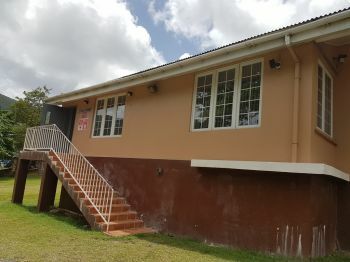 This news site had first and accurately reported on the incident, which was later confirmed by Police Public Relations Officer Diane L. Drayton. 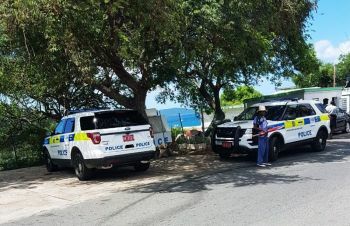 Sources had related that persons were seen running and taking cover while gun shots rang out in the vicinity of a scooter rental establishment some time before noon on the day in question. No one was injured. Police, in a press release today, July 11, 2017 stated that Nickail Chambers, 26, a native of Jamaica, residing at Lower Estate was today charged with unlawful possession of a firearm with intent to injure. “This charge stems from gunshots fired on Fort Hill on June 22. He is scheduled to appear in Magistrate’s Court tomorrow morning (July 12), police stated in the press release. Meanwhile, police also reported that Selroy Hanley, 28, of Purcell Estate was charged with unlawful possession of ammunition. Hanley appeared in the Magistrate’s Court today, July 11, 2017 and was placed on remanded for his later appearance. Hanley, Chambers and Owen Chambers, 52, father of Nickail, were also charged with unlawful possession of cannabis and unlawful possession of cannabis with intent to supply to another after search warrants executed at their respective homes uncovered the drugs. Hanley was charged additionally with unlawful possession of cocaine with intent to supply. Commissioner of Police noted there is a lot of overt and covert police work going on behind the scenes into the early morning hours. 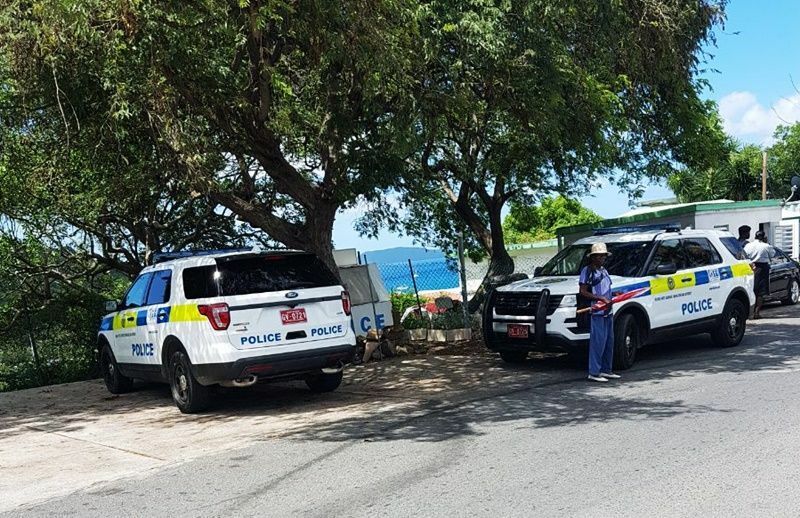 Police have confiscated seven firearms and several rounds of ammunitions for the year so far. Send he back to Clarendon. That place got cussed people. Everyone open their mouth..."yeah, me ah from Clarendon." It still has people living there? I can recall that you usually hear the powers that be (premier, governor) encouraging people to behave for they can loose the status after all they are not originally from here. If this person did break the law so many times and he is not from here, belonger status should have been revoked and deportation instituted for these are serious crimes. Another home trained thug. Why import from places where criminality is a cultural custom but then complain when they and or their offspring proceed to live what they know? I am a Jamaican and I would say to the government: if any Jamaican or any other nationality comes here with their criminal behaviour DEPORT them. All they are doing is embarrassing people like me who tries daily to let others know that most of us are decent, hardworking, law abiding people. Are you on drugs? Who the @"%$& wants to go to st thomas to live and what does that have to do with the topic? Young child you have no sense of direction. He can be deported even with a belonger status and he should be. I kno this young man personally and I know he's not a bad person, just get caught up with the wrong crowd. But everyone has to take responsibility for their own. He apparently isn't learning from his bvi mistakes so let him take it elsewhere. It doesn't matter what the other person did so bad... if he did in fact do it that give him no right to put other people life in danger. Look let me tell everyone of you who always bashing the BVI and it's people, especially some of you who ain't from here.......AIRPORT....still open and planes flying every day. No port is close......IF HERE SO DAMN BAD WHAT THE HELL YOU STILL DOING HERE.....GO THE HELL HOME. THIS IS MY HOME! My paradise, it have its issues just like every where else. Don't come in my country and come talk bad about it....no sah...take up your bungle and just go, leave our talkative or whatever else you want to call us alone. I would take talk from another but not an outsider because I will NEVER go to a man's country and be living in it for years and putting it down, then I don't need to be there. I SO TIRED TO THIS CRAP! Belonger status can be revoked. What you buy is what your wear.the government needs to do more thourough back ground checks on these individuals who are granted belonger status here in the virgin islands.look at this young man criminal record.the british virgin islands give these immigrants a chance to get a better life.look what the do in return.at the end of the day we have to live with all the headaches these immigrants done heŕe in this place. what make me mad is when people defend their love ones when they do wrong. not because its your family, if the person did some thing wrong they should not be defended. the possession of a firearm is serious. gog knows who that person or gun already killed. this is what have our little country going to the dogs. if the person is from here they needs to be punished (jailed) and if not, punish them and get their backside out of here. so stop defending/condoning wrong doing because you will not want someone else to do you or your family wrong. everyone is someone family and it hurts like hell when we lose persons close to us by senseless acts such as murder. wise up before its too late. I am beginning to think that foreigners are involved in some of the armed robberies of the various businesses and individuals that have taken place over the last several months. I believe we are making a serious mistake with the number of persons being granted work permits to come to the BVI. While I don't want to single out any particular countries, I am concerned about Jamaicans and Guyanese in particular. We need to take a time out and seriously consider who we allowing to enter into our territory. While we have criminals of our own, we certainly don't need any more from outside to come in and make things worse. For all we know there could be hardened criminals living among us from some of these countries.